MIET provides a value based platform for imparting quality education to equip future corporate leaders and Engineers. Courses offered at MIET stand approved by the Government of J&K & AICTE. MIET follows curriculum duly approved by the University of Jammu. 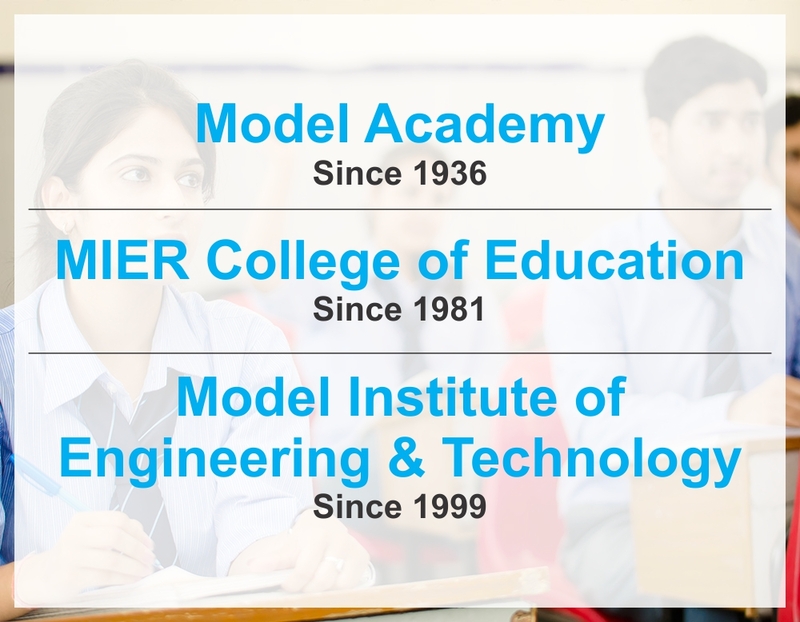 of rich legacy is carried forward by MIET as part of the oldest private educational enterprise in J&K, based on the founding principle of Shrestha or excellence. of MIET work at top multi-national corporations across all major continents, reflecting excellent long-term professional outcomes. Advisor to Chief Minister, J&K Govt. Each time I visit the MIET campus, I am tremendously impressed by the growth in infrastructure and human resources. 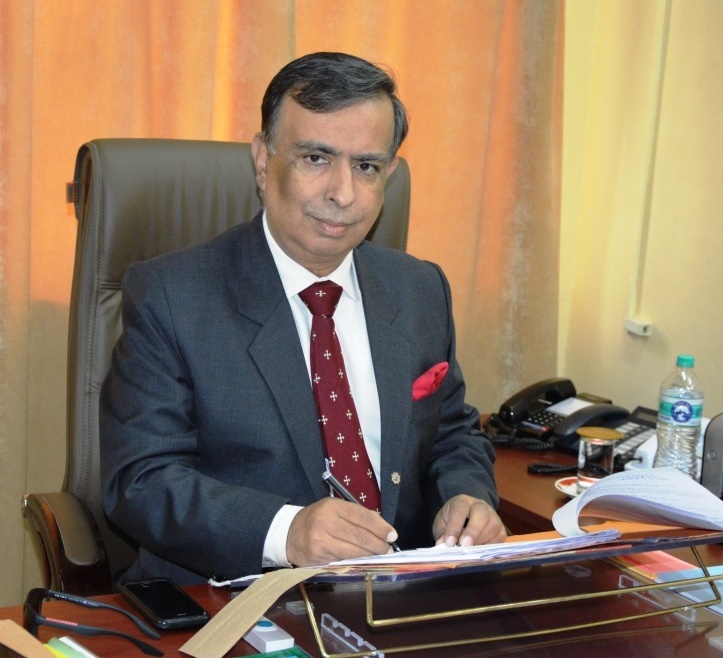 MIET is truly a model for other private sector institutions in the state of J&K. 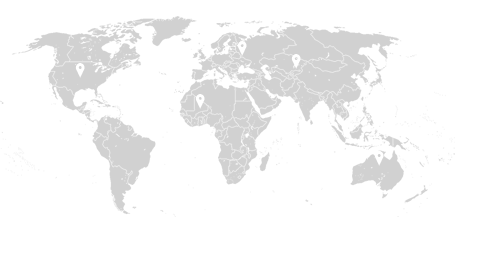 Our award-winning patent pending analytics software allows you to track your performance and create a winning profile. “Being part of the MIET has been one of the defining moments in my journey towards success. The technical exposure that I got here and the excellent opportunity provided by college of interning at Hewlett-Packard (HP), Bangalore under the "HP-University Student's Program'06" made me industry ready and fostered in me the importance and need for innovation and sound understanding of the products end-to-end. The excellent guidance got from Dr. Ankur Gupta, HOD, Computer Science made us finish 3rd in final conference for the HP project undertaken by us, out of 20 different colleges across India. And, as always, hard work results in excellent results. I was offered a full-time opportunity at HP, where I worked for 5 years." “It's been a pleasure to be part of MIET family. The MIET that I knew has grown by leaps and bounds from the time it was established. In such a short time the institution has made tremendous progress, from achieving several firsts in the state. Firsts among the private institutions in state to have dedicated internet labs, first among the private institutions in the state to enter into collaborations with several multinationals or be it the first institution in the state to achieve ISO rating. Speaking of firsts there is one distinction that no one can take from me. I am in the first person to enroll in the MIET family, being the Roll No. 1 for the very first batch of MIET. Looking back retrospectively I cherish it. I can never forget the support we got from our teachers especially Saleem sir and Bhawani sir for electrical labs." “I started my journey around 15 years back, Came out of normal education background, I got the needed confidence at MIET that i too can compete and excel in life. I owe all my success to my tenure at MIET. MIET is one the best college in state. Its uniqueness lies in equal focus on acamedics and overall personal development. 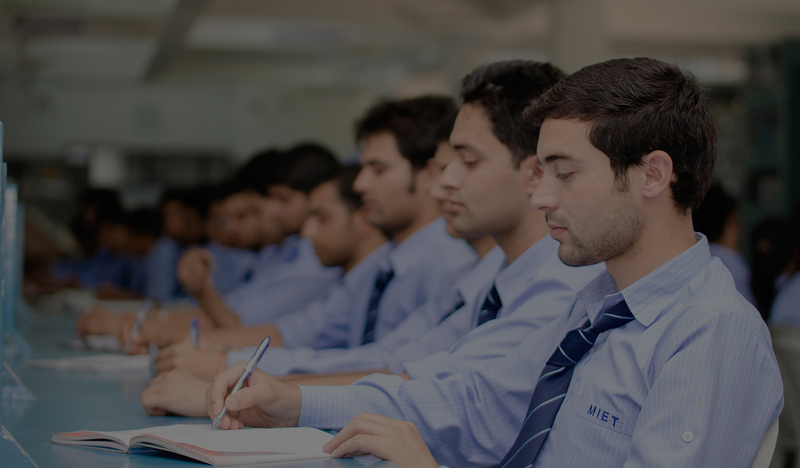 The faculty at MIET is one of the very best and their goal is to make you a confident and matured professional. Once you come out of the college, you have the confidence to take the world on their own and make successfull carreer in different fields. Talking about Campus placement, the rate of placements is one of best in the state. Over a period of time, it is getting improved year by year because comapnies trust the kind of talent they are getting there. Infact i personally got campus placed way back in 2005 and things have only improved from that point onwards." “My 4 years at MIET were really enlightening for me in both personal as well professional fronts. I underwent a complete transition from a core academic student to an individual filled with a glutton for exposure. Within the first few months, I realized that besides having a good academic teaching staff, MIET was also having a bunch of opportunities for students to groom and emerge as a better professional being. Frequent workshops, seminars, presentations, alumni lectures, mentorship programs, personality development sessions, adventurous camps, industrial exposure from companies like Aircel, Nokia HERE etc, were a few pearls of opportunity out of the treasure house. The college helped me to inculcate a sense of being something “Out of the Crowd” in myself." "As I jot down my thoughts about MIET, my Alma mater, 5.5 years after stepping out of its premises, one core strength which seems to dawn on me now is the unsaid spirit of entrepreneurship embedded in its DNA. It is this spirit which has translated many of its students into dynamic, self driven leaders proving their mettle in big organizations across the globe. And it doesn't take big management programs to inculcate this DNA for success. What it takes is the trust that MIET shows in its students to take up various initiatives, give them the freedom to drive on their own, allow them to fail & encourage them to get up & do it better the next time. This is something which I went through during my tenure at MIET - a tenure which transformed a shy boy into a well socializing, dynamic student." "My name is Sumant and have completed my B.E in Computer Science Engineering. My four years in MIET has been truly amazing and instrumental in providing 360-degree transformation to my attitude, skills, and knowledge. The quality of technical exposure, world-class mentoring, international tie-ups and industrial exposure has contributed immensely in winning accolades at the national level. I have received offer letters from two leading multinational companies. I would like to extend my gratitude towards faculty members and management for their continuous support throughout 4 years. I would end by saying Future Begins at MIET." "Hello everyone, my name is Suave Bajaj and completed I have done Computer Science Engineering from MIET. MIET has provided me with a wide arena of the computer science field and thus I got to learn something new with every subject. Prof. Ankur Gupta, Director MIET has stood with me every time as a mentor and as a guide. I worked with him on a patentable project idea which has opened up doors of opportunities for me. This helped me in getting placement in HPE, which is a great brand name to start my career with." "Hello everyone, my name is Udhav Verma and completed I have done Computer Science Engineering from MIET. Life as a MIET student is unique in its own right. Here studies are perfectly balanced with extracurriculars to achieve overall development of the students. The growth I have seen in myself due to MIET is invaluable. It has taught me things far beyond bookish knowledge and helped me broaden my horizons. The innovative assignments for each subject provide many opportunities for students to come up with ideas that relate to the subject. Students can make use of these opportunities to initiate new projects and gradually proceed with them by combining and incorporating the concepts of different subjects into it. All faculties welcome and support such initiatives. This is an approach that I took, and I was successful in developing some good projects in this process." "I, Rakshita Khajuria, pass out of Electronics and Communication Engineering Batch 2014. I sincerely appreciate and express my gratitude to all the Faculty for their immense support and encouragement and their efforts in imparting quality Technical skills and overall personality development. I am grateful to them for providing us the inspiring environment by arranging many technical workshops, training programs, conferences,co-curricular activities and helping students to get involved in professional projects. 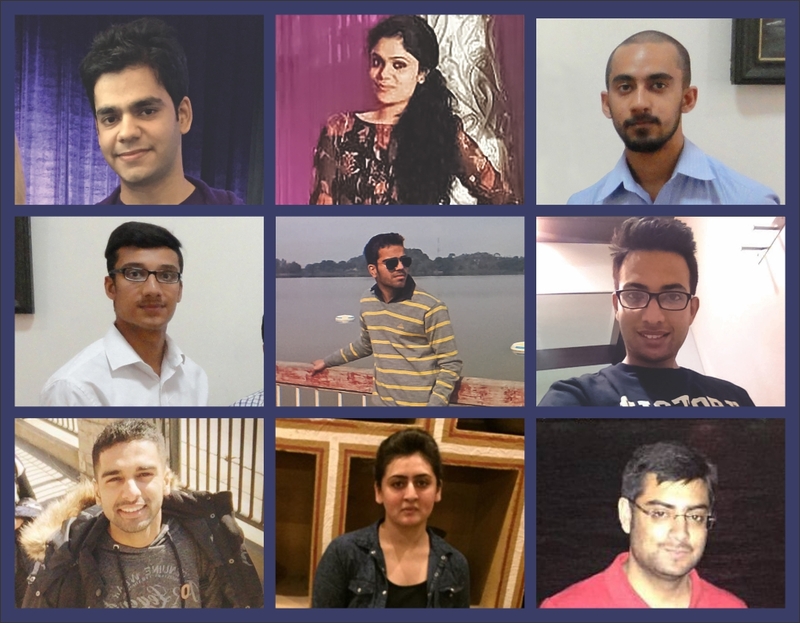 As far as placements are concerned the faculty totally feels responsible and has provided us with various opportunities and it is up to us how we perform. I feel really lucky and proud to have been a part of this institution not only because I got placed but because of the support they have provided me unconditionally." "It gives me great pleasure to say with pride that I have completed my graduation from MIET. It has a wonderful faculty and the relationship between the students and faculties is very cordial which gives each individual an equal opportunity to excel in their areas of interest. Education and placement department continuously provided assistance to us regarding placements. This period of 4 years was splendid and has definitely helped me to grow better professionally and personally." "My name is Shruti Dhingra and I have done my engineering in Information Technology from M.I.E.T. I have chosen M.I.E.T because it's one of the best engineering colleges in J&K. It gave me a lot of opportunities to excel my knowledge and skills in my field. The exposure they provide is far way good for the person who wants to achieve something. I would like to thank all the faculties and staff for making me a better person." "Engineering is a field with uniqueness and individuality, the passion for which comes within the individual. Being a part of this course in MIET is like know your own individuality. The exposure they provide is far way good than any other college in J&K. The faculty is always available and willing to help. The colleagues help you out in every way. Here the potentials are harnessed, skills are developed and confidence is built."